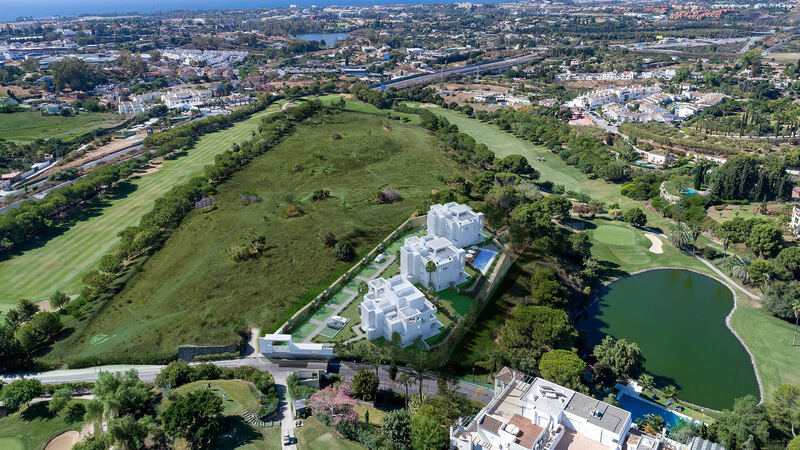 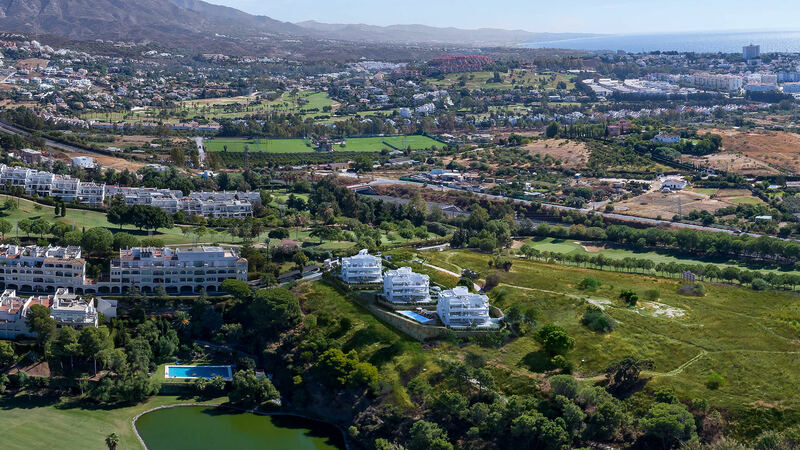 There is a 27-hole golf course (3 courses of 9 holes each), 5* hotel, club house, restaurants, and a spa which includes a gym, and a hydrotherapy water and relaxation zone. 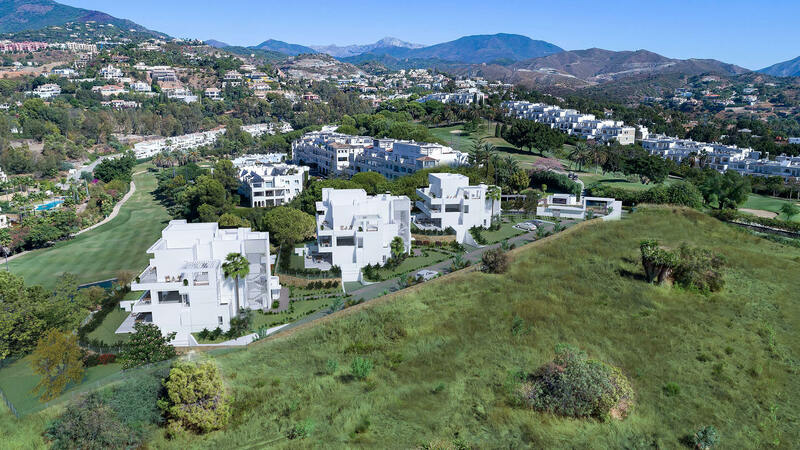 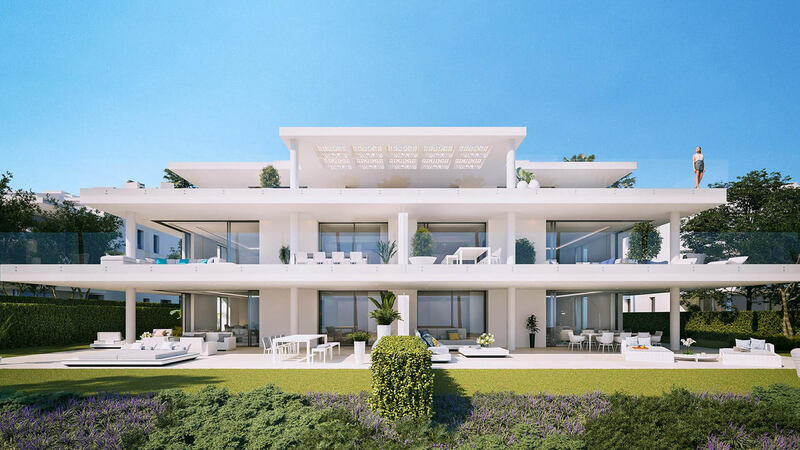 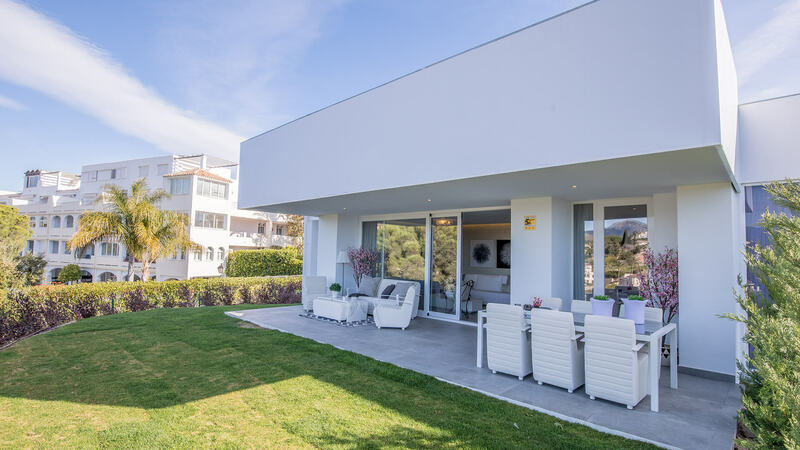 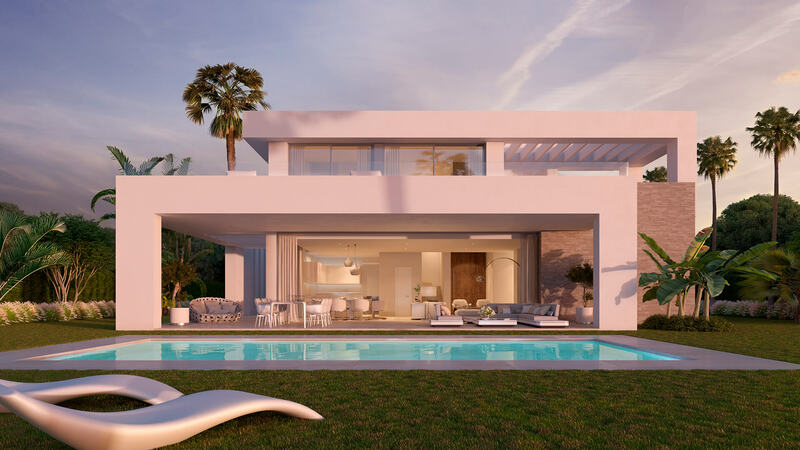 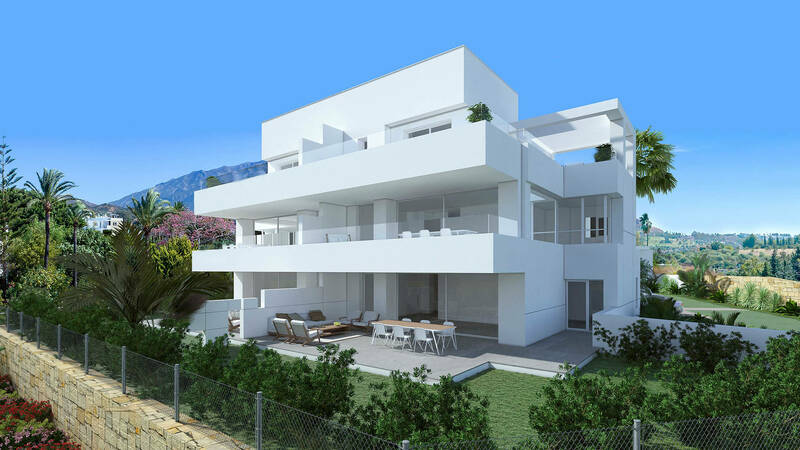 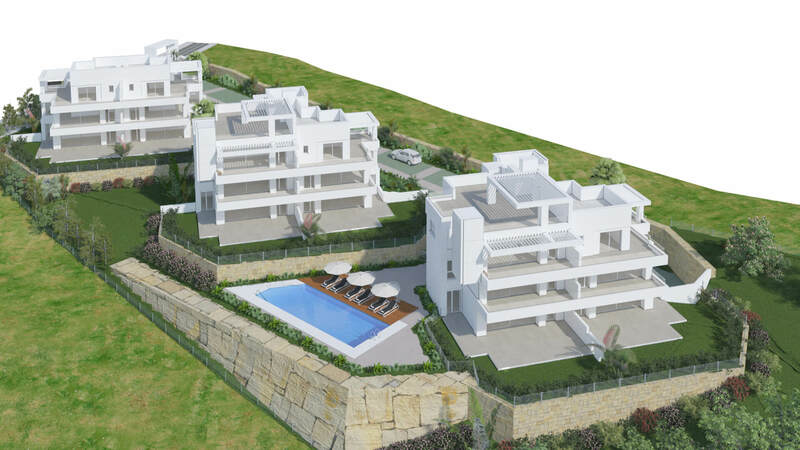 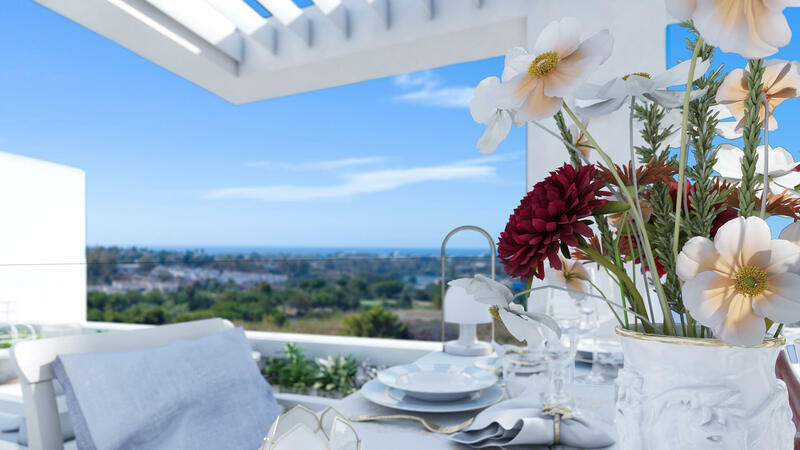 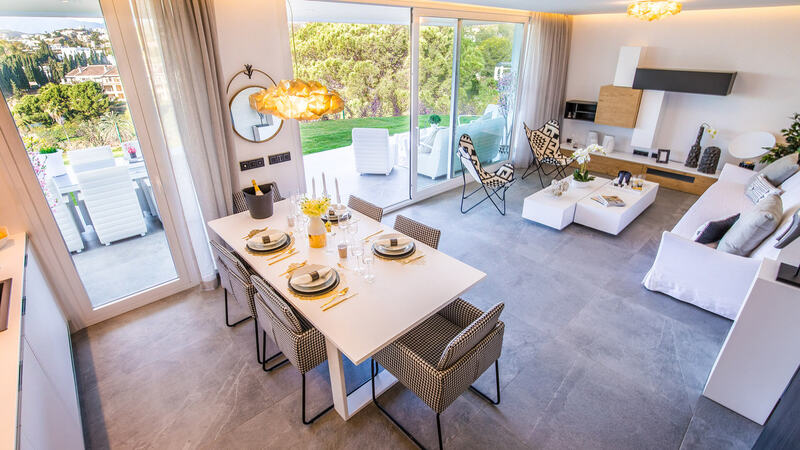 The properties are all south-west facing with amazing views over the golf course and towards the Mediterranean Sea. 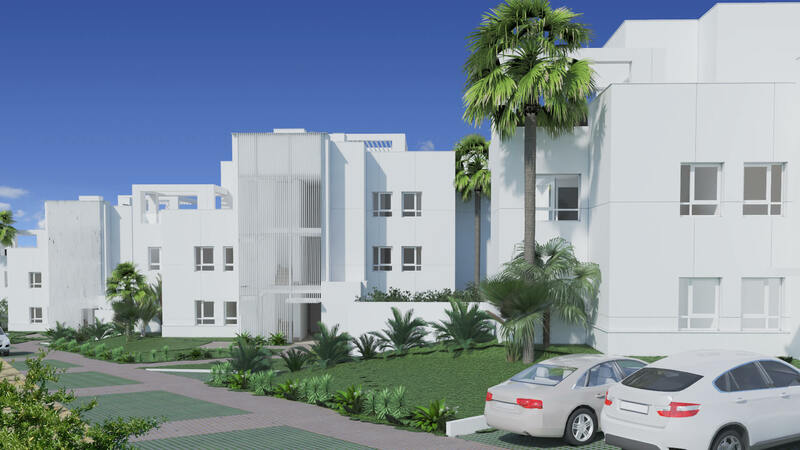 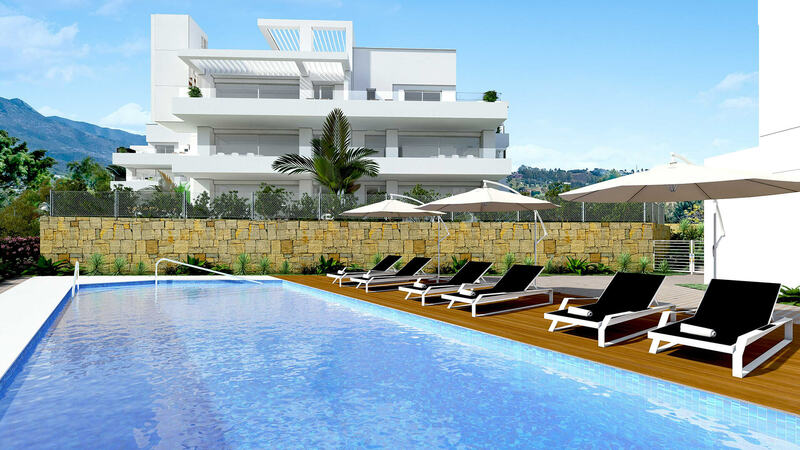 The communal areas include a swimming pool and lush landscaped gardens. 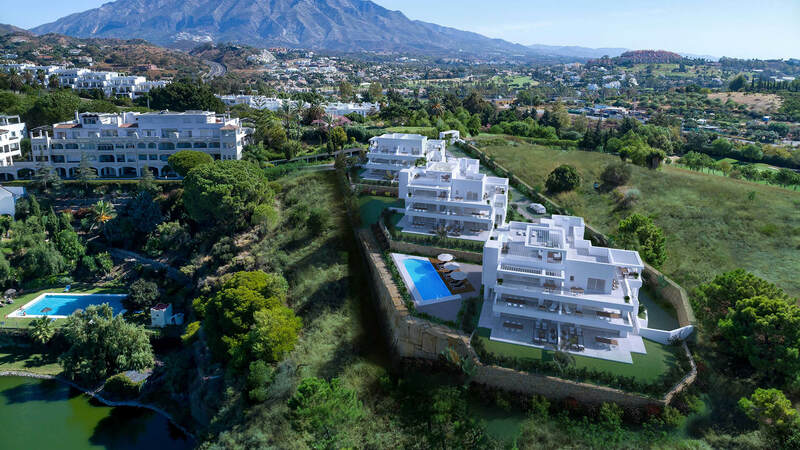 The resort is only 10 minutes’ drive from the playground of the rich and famous; Puerto Banus, and another 5 minutes to Marbella. 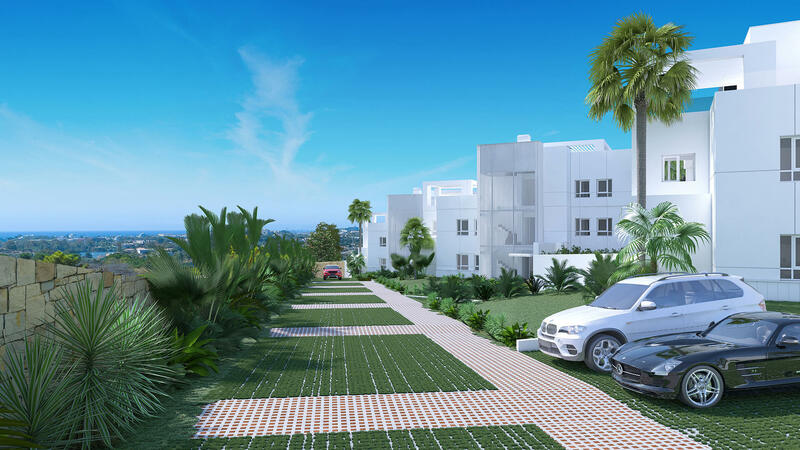 Each of the properties has three bedrooms and two bathrooms. 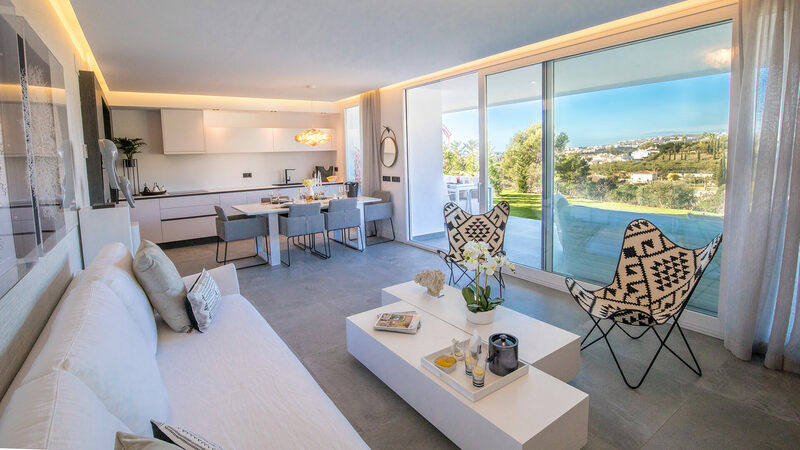 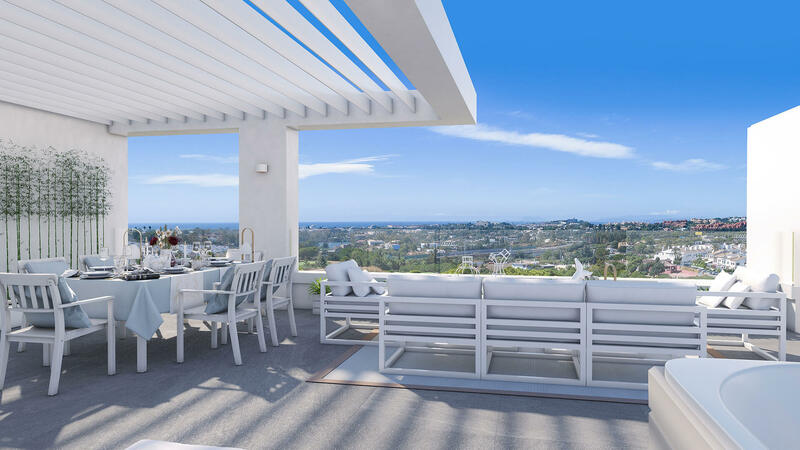 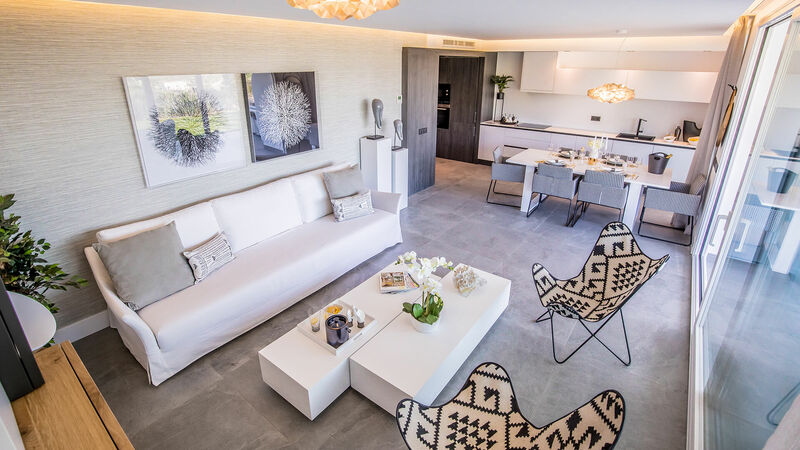 The rooms are bright and airy with an open-plan living/dining area, as well as large terrace doors giving a seamless transition from inside to your sunny and spacious terrace. 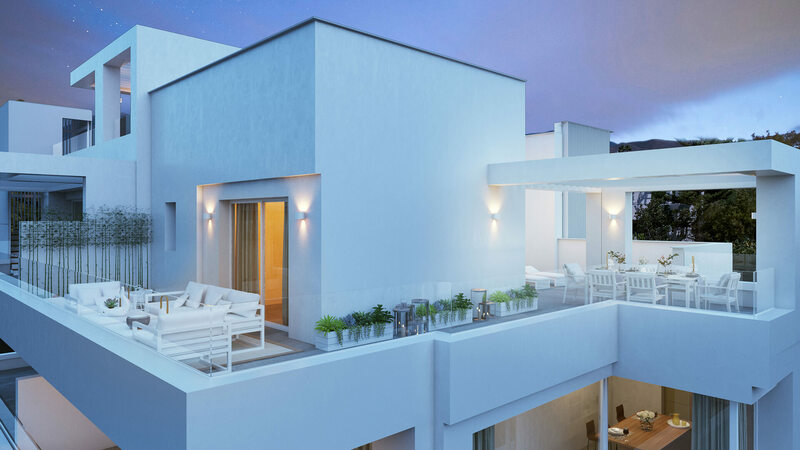 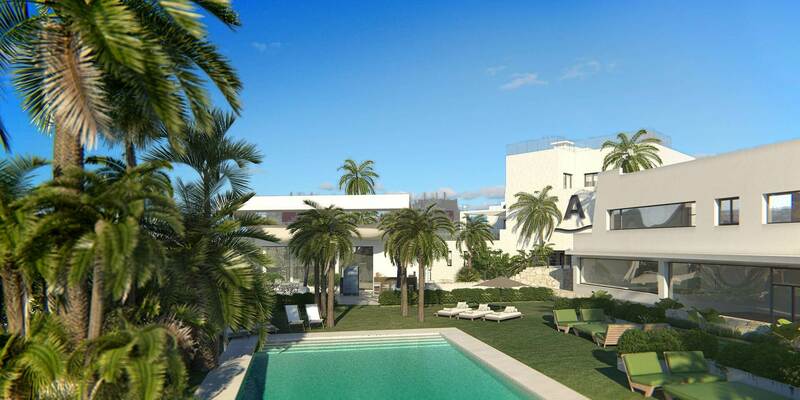 The ground floor properties have a private garden while the penthouses have a large solarium. 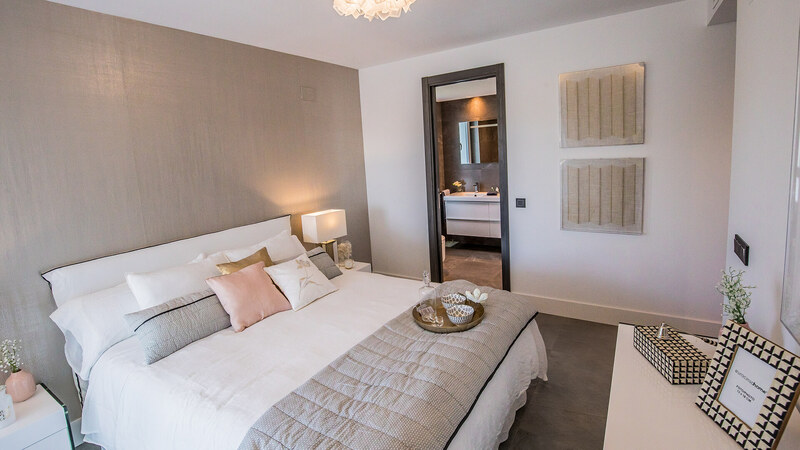 All the properties include a private parking space and a storeroom. 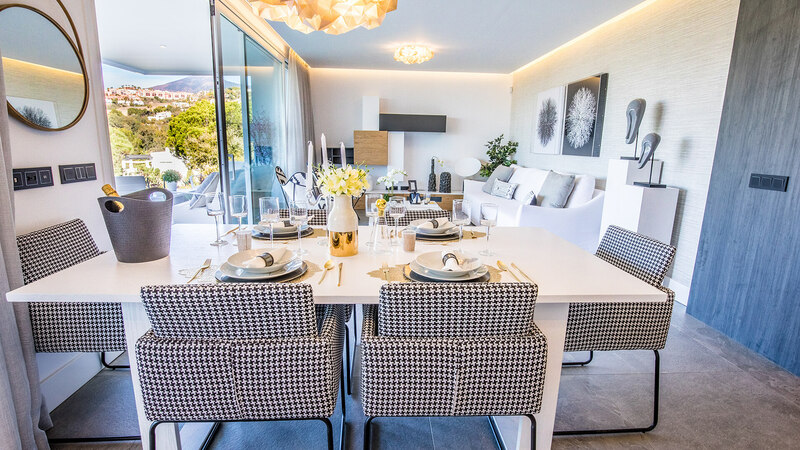 Le Caprice stands out from the rest thanks to the carefully chosen contemporary materials and high-quality fittings and finishings. 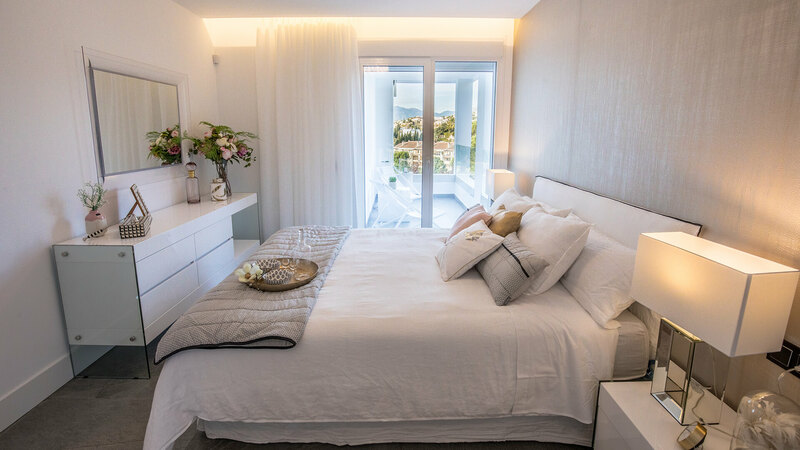 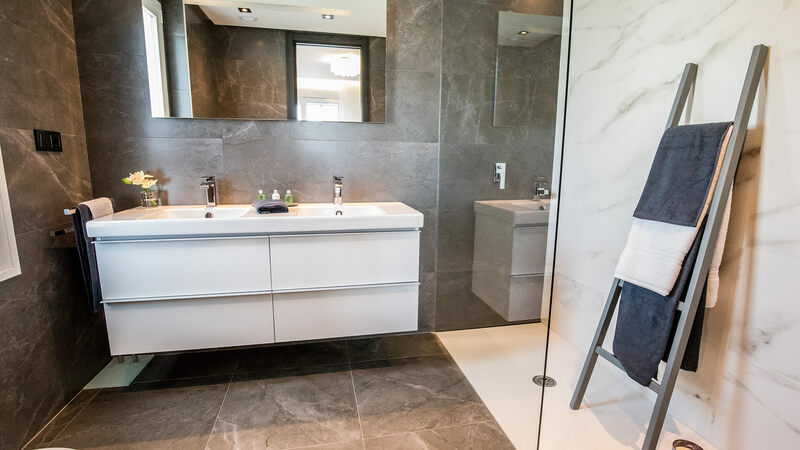 Highlights include porcelain tiled floors throughout, fully fitted kitchen with appliances, bathrooms with high quality fixtures and fittings, LED lighting system, hot and cold air conditioning, solar panels and technical building specifications that provide the best in thermal insulation and soundproofing.